Each Spring, Pokemon Go holds a fun Eggstravaganza event, which comes packed with a bunch of Egg-themed features. This year’s event will run from April 16 at 4 p.m. ET to April 23 at 4 p.m. ET. During that time, players may receive different Pokemon than normal when they hatch Eggs. They’ll also be able to hatch Pokemon like Pichu, Smoochum, and Magby from 2km Eggs. Incubators will be twice as effective during this event, making Eggs hatch faster than normal. This means, for instance, a 2km Egg will hatch after walking only 1km, so long as it’s placed inside an Incubator during this event window. While you may be tempted to focus on hatching 2km Eggs during this event, keep in mind that this boost will cause 10km Eggs to hatch after walking only 5km, which will save you a ton of steps! Each time players hatch an Egg during this event, they’ll receive twice the normal amount of Pokemon Candy in the process. In addition, Lucky Eggs, which allow players to earn double the regular amount of experience points for completing in-game actions for a limited time, will last for 60 minutes during this event, rather than 30. Finally, players will be able to collect Egg-themed Field Research tasks by visiting PokeStops near them. 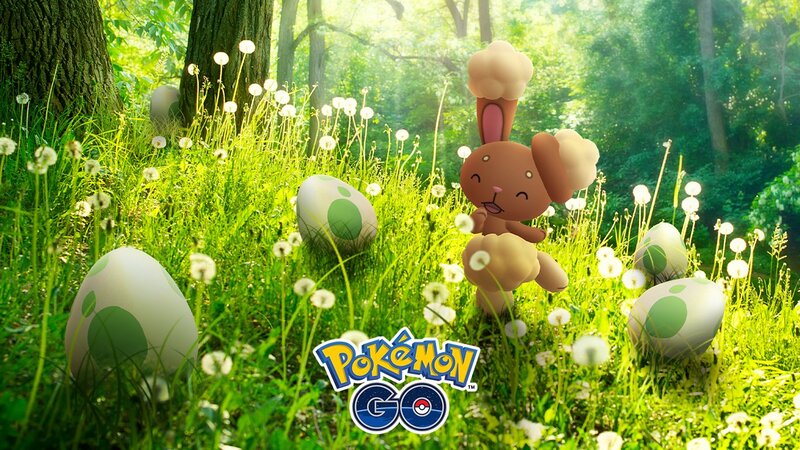 In addition to these Egg-themed features, the Shiny version of Buneary, an adorable bunny Pokemon, will begin appearing during this event. The Shiny version has pink fur on its ears, abdomen, and feet, rather than tan. Too cute! Even if you can’t actively play Pokemon Go during this event, you can still earn progress toward hatching Eggs by turning on the game’s Adventure Sync feature. Released last November, the Adventure Sync feature lets players give Pokemon Go the ability to access their Apple Health or Google Fit data (on iOS or Android devices, respectively), so the game can track the steps they take even when they’re not playing the game. Not only does this help you hatch Eggs, but it also counts toward earning Pokemon Candy with your Buddy Pokemon.